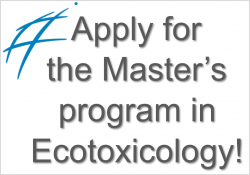 The risk assessment of mixtures of chemicals, including pesticides, is still one of the largest challenges in the field of ecotoxicology. Currently, the environmental risk assessment of pesticides is mainly performed on individual active ingredients of pesticide products. 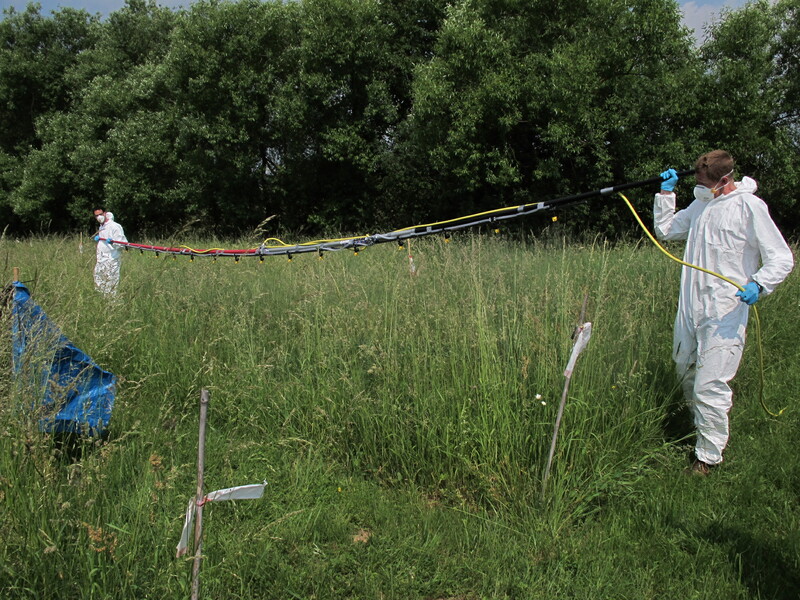 However, in surface waters within the agricultural landscape, contamination is usually characterized by pesticide mixtures, which can contain more than 50 individual pesticides. To predict effects caused by these complex mixtures without the need to test each mixture composition with the varying concentrations of each component of the mixture, several mathematical models have been proposed. Among these, the model of concentration addition (CA) is suggested as default model for the risk assessment of chemical mixtures as it is considered protective for mixtures composed of similarly and dissimilarly acting substances. Here we assessed the suitability of CA predictions for several field relevant pesticide mixtures using acute (immobility) and chronic (reproduction) responses of the standard test species Daphnia magna. 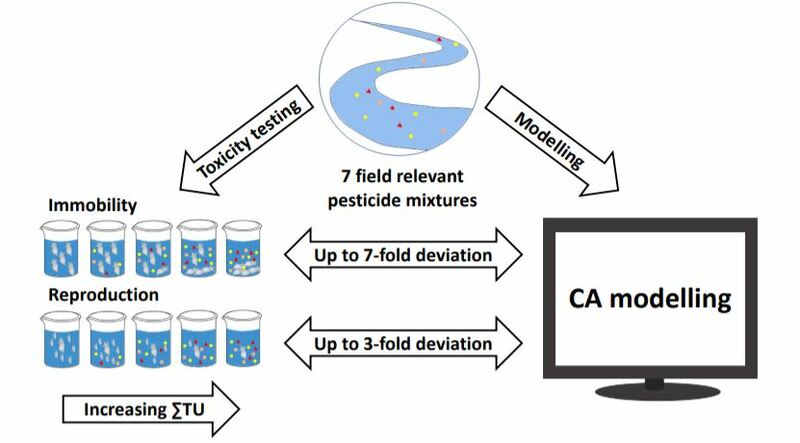 Pesticide mixtures indicated largely additive or less than additive effects when using CA model predictions as a reference. Moreover, we revealed that deviations from CA predictions are lower for chronic (up to 3.2-fold) relative to acute (up to 7.2-fold) response variables. Additionally, CA predictions were in general more accurate for complex mixtures relative to those composed of only a few pesticides. Thus, this study suggests CA models as largely protective for the risk assessment of pesticide mixtures justifying its use as default model. At the same time, extrapolating conclusions about the joint effects of pesticides from acute to chronic responses is uncertain, due to partly large discrepancies in predictive quality between exposure scenarios (i.e., acute vs. chronic). The paper was authored by Theresa Schell, Willem Goedkoop, Jochen P. Zubrod, Alexander Feckler, Simon Lüderwald, Ralf Schulz and Mirco Bundschuh, and published in Science of the Total Environment.